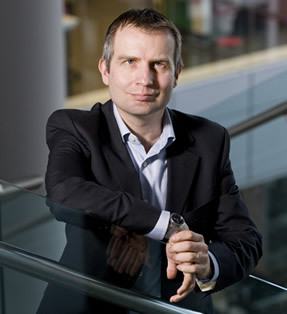 I am Professor of Health Economics and lead the Health Economics at Lancaster group. Research and international collaborative publications are principally in the area of efficiency measurement with respect to the production of health and health care, social determinants of health, and the translation of research into practice. ICONS II: Identifying Continence OptioNs after Stroke randomised controlled trial – NIHR HTA (2017-2020). School for Public Health Research LiLaC. – NIHR (2017-2020). Dynamic Electronic Tracking and Escalation to reduce Critical Care Transfers (TheDETECT study) – NIHR Invention for Innovation (i4i)(2017-2020). National Institute for Health Research (NIHR) Collaborations for Leadership in Applied Health Research and Care (CLAHRC) for the North West Coast (2013-2018). Prospective evaluation of point-of-care (POC) procalcitonin testing in infective exacerbations of chronic disease in childhood, to improve care and reduce health inequalities – NIHR CLAHRC (2016-2018). Research Design Service NW National Institute for Health Research (NIHR) (2012-2018). The Health Economics at Lancaster group is a group in the North West of England involved in health economics research across a breadth of projects ranging from behavioural and labour economics, to efficiency measurement, to more traditional cost-effectiveness analysis. I also run the International Health Economics discussion list, which is also on twitter, am Co-Organiser of the Health Economists' Study Group (HESG), am on the International Scientific Committee, and Chair the International Health Economics Association Student Prize Committee, am an active member of health economics organisations worldwide, an invited speaker at many international conferences and to many Government bodies, am a referee for 45 international journals, have over 150 publications, and am Co-Editor of Health Economics and Associate Editor of The DEA Journal. I was on the Board of Directors of iHEA from 2011-2017. I previously worked until 2011 at the Centre for Health Economics at Monash University Australia, where I was Director from 2009-11. I give specialist health economics lectures on several courses, and teach on thye Health Economics and Policy MSc and PhD Blended Learning courses at Lancaster. Alongside other research interests, administrative responsibilities, and teaching commitments. I currently supervises five full time PhD students. Bautista, C., Hollingsworth, B. P. & Sanchez, J. L., 11/2018, In : Sexually Transmitted Disease. 45, 11, p. 770-773 4 p.
Bautista, C., Wurapa, E., Sateren, W. B., Hollingsworth, B. P. & Sanchez, J., 30/10/2018, In : Military Medical Research. 5, 7 p., 37. Pryce, R., Hollingsworth, B. P. & Walker, I., 1/10/2018, In : European Journal of Health Economics. 16 p.